Unfortunately one of the more common crimes in London are related to cash machines. The following case follows the usual scenario of the criminal putting something in the cash machine to make it seem that it is stuck. However it does highlight that even if the criminal gets your card, it is far easier for them if they get your pin. People usually stand back from the person at the cash machine, if you have someone close to you and looking over your shoulder, cover the keyboard with your hand to prevent them seeing your pin. A 41-year-old man has received a 12 month prison sentence after pleading guilty at the City of London Magistrates court (20 February) to a series of cash machine frauds in the City of London. 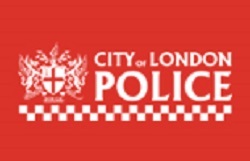 A man was arrested on 30 October 2014, by City of London Police officers after he was seen removing a card trap device also known as a Lebanese loop from a cash machine using a pair of tweezers at St Paul’s Churchyard. He was also found with seven more card traps on him. Following his arrest, CCTV enquiries helped City of London Police officers identify the man committing several other thefts of bank cards from cash machines between 30 September 2014 and 31 October 2014. The man worked with others, placing card trap devices onto cash machines. He would watch his victims as they attempted to withdraw cash and then discover that their cards were trapped in the machine. Following their departure from the machine he would retrieve the card from the machine and use their PIN number which he had seen them enter. On six occasions the man used several stolen bank cards to withdraw £4373.84 in cash from the victim’s bank accounts. City of London Police officer, Dominic Shaw said “ The man was very sophisticated in placing card trap devices on cash machines and shoulder surfing. “Over a month’s period, he worked with others to fraudulently obtain thousands of pounds leaving the banks with a bill to pay to those who had their money stolen from their bank accounts. “It would not have been possible to identify the man without the co-operation of all the banks involved. I would like to thank them for their assistance in helping us with our investigation. “I would also like to remind people to always cover their PIN number when using a cash machine and to look over their shoulder to see if anyone is acting suspicious.